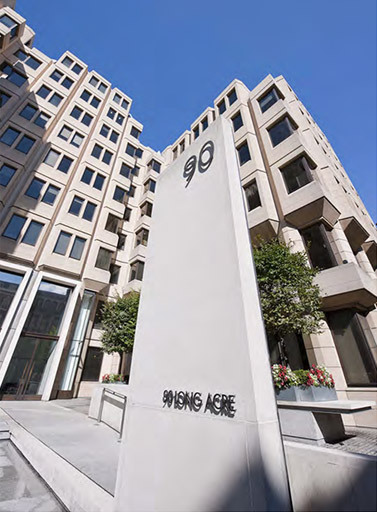 90 Long Acre is a landmark Office Building constructed in 1982, occupying an island site in close proximity to the Covent Garden Piazza which is a prominent location within London's West End and one of London's most popular tourist destinations. The office accommodation is arranged over two basement levels of parking and storage, lower and upper ground floors and eight upper floors. The Building overlooks an open courtyard with twelve separate terraces offering excellent views of Central London and abundant natural light to all floors. The Building benefits from excellent transportation links with a number of Underground and mainline train stations within close proximity, allowing easy access to London's other principal districts of the West End and the City. Please visit our location page for more information on how to get here via train, tube, bus or bike.